“Excursion Fare” copyright © 1981 by James Tiptree, Jr.
I’m used to Tiptree’s stories being on the shorter side. This is one is over thirty pages long, which means I didn’t read it all in one sitting. And since I got distracted by life at several points while reading this story, I don’t have as crisp a memory of how it goes. However, I don’t think the whole build up and plot that happens in the first 20-25 pages is really important to the story. This is another one that builds set-up just to get to the point being made at the end. Which is a reflection on humanity and choices, namely the choice to die free or live caged. I think it’s interesting because it feels very real to me, the way it ends and the way the ultimatum is set up. As for the plot, it goes something like this: these two young explorer types are trying to play Jules Verne, however their hot air balloon gets caught in a freak storm somewhere in the North Atlantic. Just as they think they’re about to die, a cruise ship picks them up. Turns out this is a hospitality cruise, which is a ship specifically for people who are dying with a 0% recovery chance. There are a few odd things about it, such as where it gets the money to do all this, and the fact that the doctors have no qualms about non-FDA approved treatments (which have actually made some patients last longer), but nothing major. Once the explorers recover a bit, they talk about their adventure, preparing, etc. One night, while fooling around in a hallway, they stumble into a secret room and find aliens. Turns out human doctors aren’t the only ones experimenting with treatments on this boat. These are alien medical students. However, the explorers are caught and told no one can know about the alien interference on this planet. They are told they will dock in one week, and the two of them have until them to determine how they want to die, because they cannot be alive when they reach port. The interesting thing is that it’s not malicious. The head alien offers them the easiest death and when exactly they’d like to die, plus any food they want. All in all, he’s actually very compassionate about it, just unmovable on his decision. This is one of the parts that feels so real to me. I’m so used to the evil villian “Then you will die…” sinister vibe, that is entirely over-dramatic. (You know, “Do you expect me to talk?” “No, Mr. Bond, I expect you to die.”) But this isn’t like that. The head alien is upset they have found the secret, but he understand how it happened, and so bears the explorers no ill will, he just knows they can never leave the ship. As a last ditch effort, they start talking about how the aliens they stumbled upon seemed really interested in them, and maybe they could stay on as healthy test subjects, since all the other humans except the crew are on their death beds. The head alien tells them he will consider and give them an answer in the morning. The last few pages are them contemplating if they would rather die than live caged as test rats, especially because the head alien was most interested in their “fertility.” They talk a lot about how dying would be a “clean goodbye,” however, they finally decide that they would be more disappointing in themselves for “just giving up.” The verdict comes back that they can stay as test subjects, and they are content with that. I feel they choice is also more realistic to the human condition than other glorified sci-fi/war movies that we see. Humans have a natural instinct to survive at all costs. So only when the situation is very, very dire is death actually preferable, such as after weeks of torture. In this case, what they give up is their freedom, because they can never leave the ship, and their privacy, because their lives will most likely be monitored 24/7 by these alien medical students. While it does sound like it could be bad, it’s still an existence verse none at all. It is only after living like this, if it becomes too unbearable, that they might choose death, but I don’t think they would before they have experience it. So that’s why it feels realistic to me. However, the story ends just after the final decision, so the reader does not know how it turns out for these two, and that is the point. It is not so much about the end result as the choice, and the decision making that goes into that choice. Overall, I would say 4 out of 5 stars. It’s a bit long, so there are parts that are less interesting, but I feel the overall message and point makes up for the length. 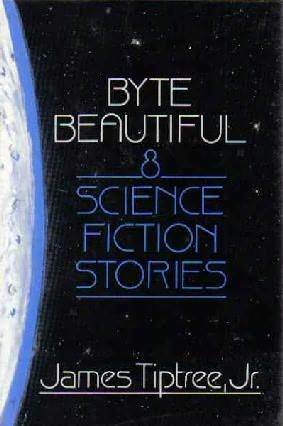 I think it’s a bit of a shame this was only ever published in Byte Beautiful. I wonder why. Anyway, it doesn’t seem to be a popular one, but it is good.